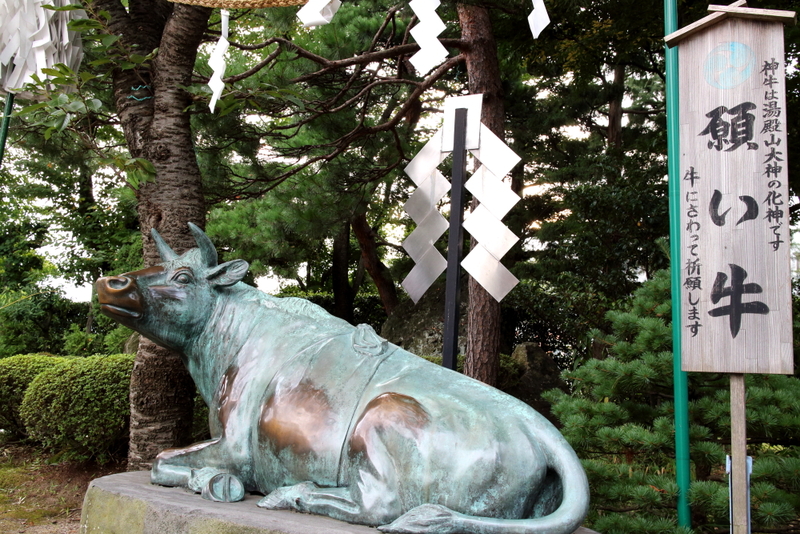 On the path leading to Satonomiya-Yudonosan Shrine, you will find a reclining bronze statue of the “negai ushi,” or cow deity. This deity is known as a god of fertility, safe childbirth, and other deeply held ambitions. People visiting the shrine will touch the statue of the cow deity, which is believed to help such desires come true.